Young Financial Professionals Expect Miracles (YPEM) is a group comprised of the next generation of financial executives (ages 21-39) who are dedicated to advancing the fight against cancer. Members consist of rising leaders and professionals in the industry who are committed to rallying the financial community to support the lifesaving mission of Expect Miracles Foundation. YPEM has groups in Boston and New York City and provides volunteer opportunities, fundraisers, and networking events to bring the young financial community together for a cure. Funds raised through YPEM events support some amazing causes in the fight against cancer. 75% of net proceeds are directed to the Expect Miracles Foundation College Scholarship, which is awarded each year to a student who is currently undergoing treatment, or has survived cancer. 25% is directed to cancer research for Boston, at Dana-Farber Cancer Institute, and for NYC, at Memorial Sloan Kettering’s Cancer Center. **You do not need to be in the financial services industry to join. We welcome anyone who is interested in supporting the fight against cancer. Each year, the Young Professionals Expect Miracles groups in Boston and New York will compete to win the Kanley Cup. The city that achieves the greatest fundraising amount through its YPEM events and young professional membership in the Miracle Maker Leadership Council wins the Kanley Cup. The Kanley Cup season will be from November 1 to October 30. 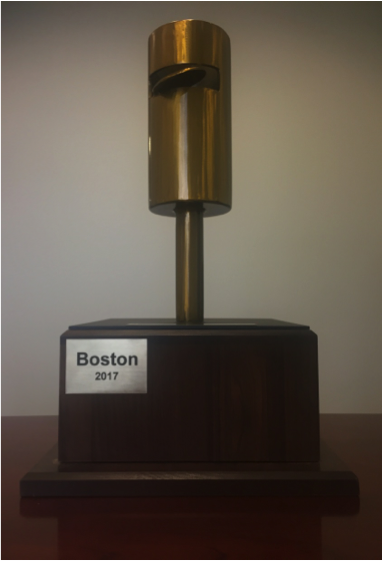 The Kanley Cup will be awarded to the winning city at that city’s cocktail gala: the Wine & Spirits event for Boston (Nov), and the Expect Miracles in Manhattan event for New York (Feb). The leadership team of the winning city will be invited to attend the event as our special guests and will be presented the Kanley Cup at the event. The winning city will have its name engraved on the Kanley Cup and the Expect Miracles staff will bring the Kanley Cup to each of the winning city's events the following year.